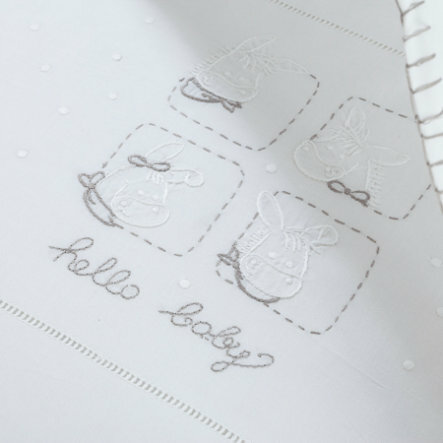 Delicate, fine embroidery makes this set of linens very special. The decorations are made with much love for detail. This lovely set consists of 2 pieces. Their surface is wonderfully smooth and gentle on children’s skin.